Discount Seamless Gutters is a full-service gutter cleaning, repair, maintenance and installation company based in Grand Blanc, MI. We also provide sales and installation for the leading gutters and gutter protection systems. Our professional team will is dedicated to finding the ideal gutters or gutter protection system for your home or business at the best price available. Why Choose Us for Your Gutter Installation & Repair? Our commitment to excellence means we stand behind every job we do. From the moment you contact Discount Seamless Gutters, you can count on us to provide friendly, professional service for all your gutter needs. Our family owned business has been operating since 2000. 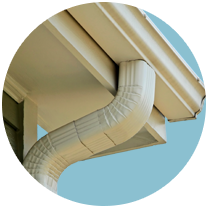 We have built long-lasting relationships with the leading gutter and gutter system providers. We operate independently of any brand name, allowing us to offer the widest variety of styles, colors and materials. 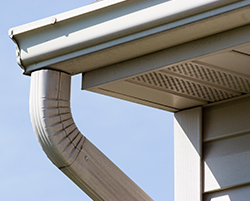 Our reputation for being one of the leading suppliers of gutter products and installations in Southeast Michigan allows us to get the lowest prices on brand name products. We want to pass these savings on to you. Outstanding reputation for excellent service. Widest selection of gutter products. "Just had a job completed by these folks and I am well pleased with work that was done and the people who I worked with. Richard K arrived on time for our estimate appointment and was quick and professional. He gave me a detailed quote sheet describing work to be done and price. My house is nearly 100 years old, and besides new gutters I wanted new fascia board installed and aluminized and vinyl covering on the soffit (overhang). The leader of the crew that did this work was very informative about what he was going to do, and we discovered that a small section of the sub-roof was damaged and covered over by the previous homeowner. He quickly quoted me a price for the extra work and did a great job. This crew worked in some pretty cold and nasty weather in November to get the siding job done before the heavy winter weather set in. The entire job is also about 25 feet up. As soon as the weather broke the gutter crew came out and was done in a day. My house looks great - the best it has since I bought it. Thank you for a super job!"